1) Face-painted rock bad boys, Kiss, are one of the top-selling bands of all time. Started in New York City in 1973, the band was one of the early pioneers in rock theatrics incorporating fire, smoking guitars, flash pots and rockets into their shows. Still driven by founding members Paul Stanley and Gene Simmons, the band has ridden the wave of classic rock nostalgia and still attracts sizable crowds. 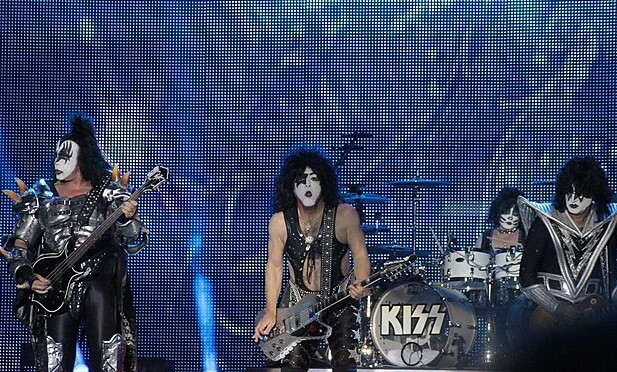 The makeup and costumes are based on cartoon characters they created, with Stanley as The Starchild and Simmons as The Demon. Several of their biggest hits rose the charts to rock radio fame in the ‘70s including “Rock ‘n Roll All Night” “Beth” and “Detroit Rock City.” Yes, Kiss is a very dramatic band but they have also created powerful rock songs and ballads. Kiss is on their End of the Road World Tour. Catch ‘em while you can. 7:30 p.m. PPG Paints Arena, 1001 Fifth Ave., Uptown. 4) The Burgh Defenders are Pittsburgh’s new American Arena League Football team. Tonight they play their first home game of their inaugural season on the turf at Printscape Arena at Southpointe against the New England Bobcats. Kickoff is at 7 p.m. The National Anthem will be sung by Alyssa Fazzini, Navy veteran and NBC’s “The Voice” contestant. Fazzini will also be having a meet and greet during the pregame tailgate party at Bubba’s Gourmet Burghers & Beer at Southpointe. The arena is located at 114 Southpointe Blvd., Cannonsburg.